Associate Professor Mead is a biochemist and molecular toxicologist who joined Murdoch University in 1981 after 10 years in the Faculty of Medicine at UWA and at Fremantle Hospital. He established Murdoch University’s Bachelor degree programme in Forensic Biology and Toxicology in 2004 and has developed, co-ordinated and taught many of the key units in the degree, including Forensic Toxicology, Case Studies in Forensic Biology and Bodies of Evidence. These units adopt problem-solving and case-oriented approaches which focus on real life scenarios to help prepare students for medical research; for entry into Graduate Medicine or to facilitate their employment as Forensic Biologists or Crime Scene Investigators with local and federal authorities. He has also been responsible for teaching medical students for over 30 years in specialist areas such as clinical acid-base balance relevant to the maintenance of patients in intensive care units. His research on the toxic plant product, fluoroacetate (1080), which uncovered a unique co-evolution between our native vegetation and our native animals, led to the development of the Western Shield programme which has become the main strategy used to control rabbits and foxes in WA. Associate Professor Mead is the author of two text books, “Introduction to Forensic Toxicology” and “Clinical Acid Base Balance; an Integrated Approach”. He regularly delivers expert testimony in Court in cases involving drug-related deaths, alcohol-associated traffic crashes and drug-assisted sexual assault. Associate Professor Mead has been awarded three Vice-Chancellor Teaching Excellence Awards for General Teaching Excellence in the Discipline; a Vice Chancellor’s Citation for Excellence in Enhancing Learning and a National Citation from the Australian Learning and Teaching Council for Outstanding Contributions to Student Learning. 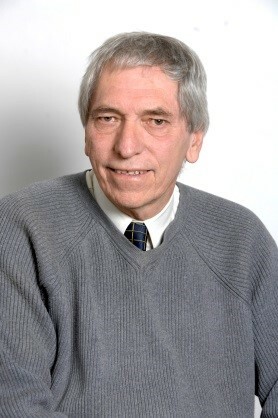 In 2009 he was awarded an Australian Learning and Teaching Council’s National Award for Teaching Excellence in Biological Sciences, Health and Related Studies.